I discovered Web-Feet through an un-refined search for a web-design/developer company. I was looking for a fresh and inspiring web provider’s website through which I could gauge the creativity and technical prowess of the organisation. It was a happy co-incidence that Web-Feet happened to be located some 200 yards from our office. I met Gillian within 24 hours and briefed her on my requirements – a completely new look, in line with a recent re-branding of all of our printed collateral. Equally importantly, I wanted a CMS that would enable instant editing, uploading and deletion of content from our own offices. With a good idea as to how I would like the web-site to be structured, I awaited initial design ideas. I didn’t wait long – two days later Gillian returned with an idea for a proposed Home page – it set the tone brilliantly. Gillian’s ability to listen to what I needed and understand the way we wanted to market our business, to grasp the level of technical (in)competence she was faced with and respond so quickly was astonishing. With Board approval for the initial outline, and costings, we negotiated terms and expectations in a painless and professional manner. I was introduced to a member of the Web-Feet technical team, who would remain my key contact throughout the project. He also understood what was required and with minimal interaction, was able to build a site that fitted the brief exactly. The CMS was built to fit the requirements of the site and training was provided to enable me to populate the pages. If the requirement for small adjustments arose, they were made with no interruption to my work on the content. Gillian maintained an interest in how the build was going. I felt well looked after and completely comfortable with the level of interaction between us. This was one of the bigger CMS sites Web-Feet has worked on, but they took it in their stride and delivered with complete professionalism and creative aplomb! Since launching the site I have received endless compliments on the new look and feel and especially on the ease of use on tablets and smart phones, from colleagues both overseas and in the UK. It is great to have a website to be proud of, and one that all members of the organisation feel engaged with and are keen to contribute to – this is an exciting change for us. I am confident that we will be happily working with Web-Feet long into the future, with further developments, SEO and hosting requirements, as our business grows. Judging by the performance of Web-Feet, they will be growing too. Roughton needed a website with solid user experience so their visitors could find what they were looking for without getting overloaded by such a huge amount of content. A standard drop down menu would be too large and unfriendly to display more than fifty services which Roughton had on offer, so instead we created a clean and concise navigation page that displayed all their services in one place. By displaying them in alphabetical order, we made it very easy for users to find what they were looking for. To help users find their way around so much content, everything had to be clearly connected together. We placed links to supplementary content on as many pages as possible, so users could easily find related information and access more areas of the site. For example, we added prominent links to project case studies on the individual services pages, giving users an easy way to learn more about Roughton’s work in these fields. 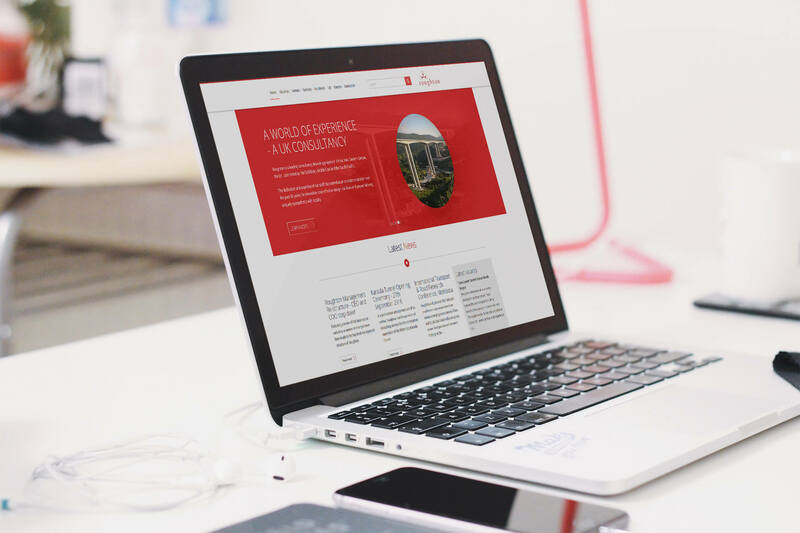 All of our hard work resulted in a site that is extremely user friendly and easy to navigate. Drop us a line to find out more about the services we offer.